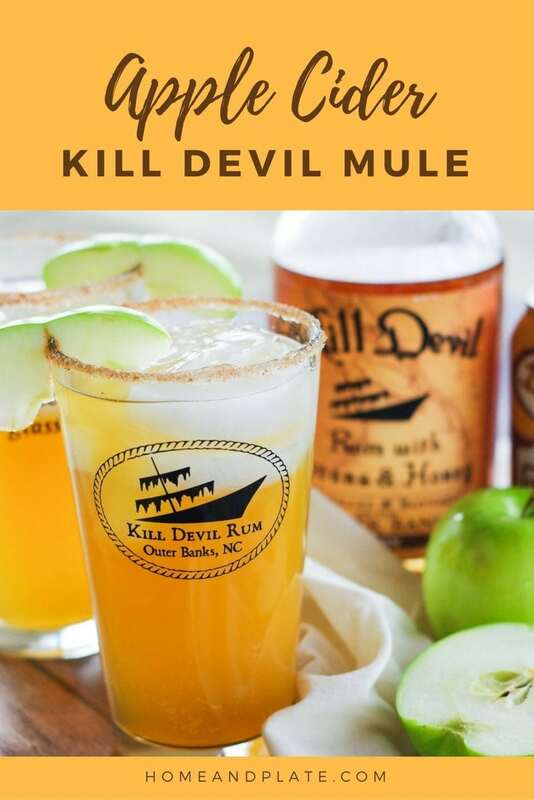 I love a good apple cider mule cocktail. 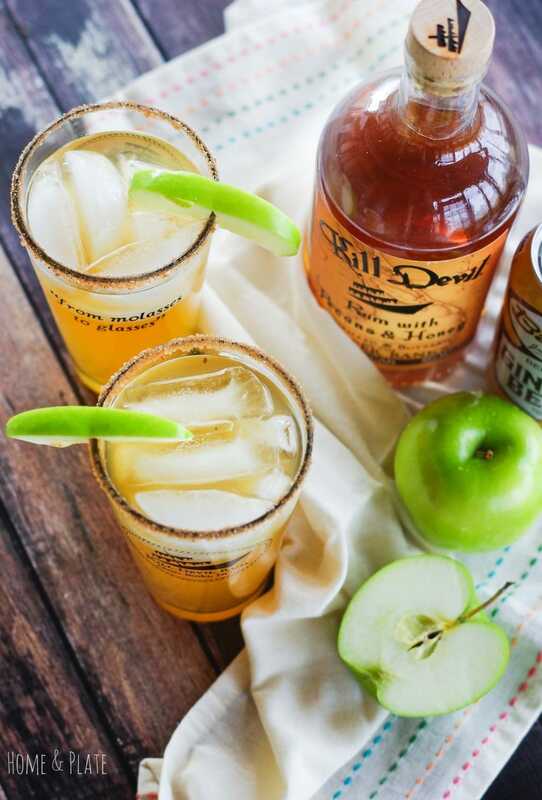 This drink has a boozy burst of pecan and honey rum blended with ginger beer and sweet apple cider makes a delicious cocktail for any time of the year. I’ve discovered a new brand of rum. It has quickly become a favorite of mine. 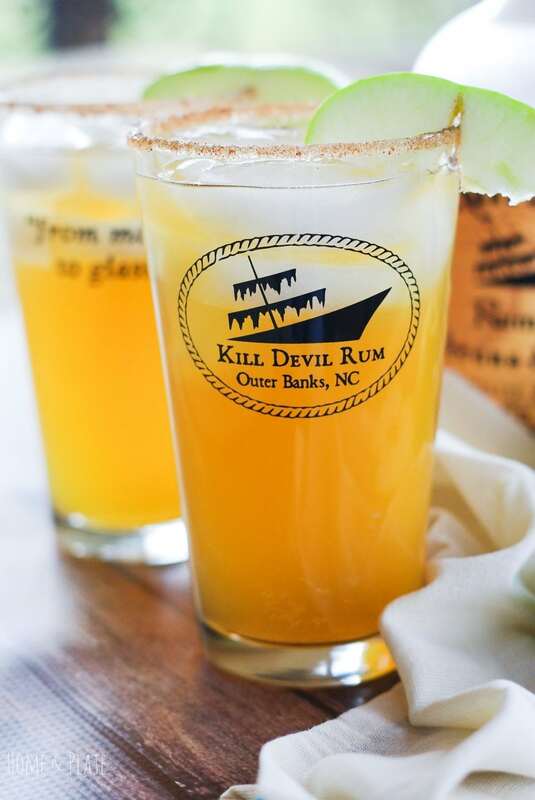 On a recent trip to visit my folks on the Outer Banks in North Carolina, I decided to tour the Outer Banks Distillery, home of Kill Devil brand rum. 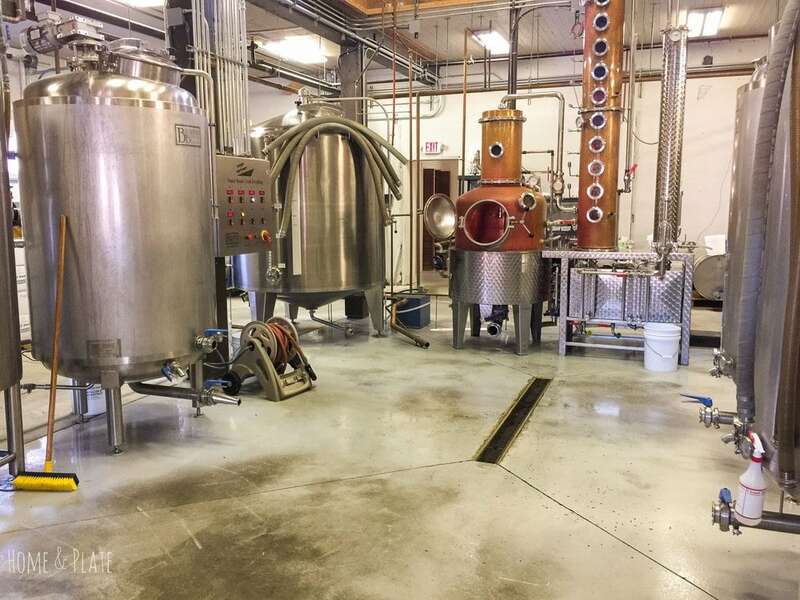 The distillery operates daily and churns out four different rum varieties including their silver rum, pecan rum, small batch barrel aged Shipwreck series rum, and their Winter Solspice rum. 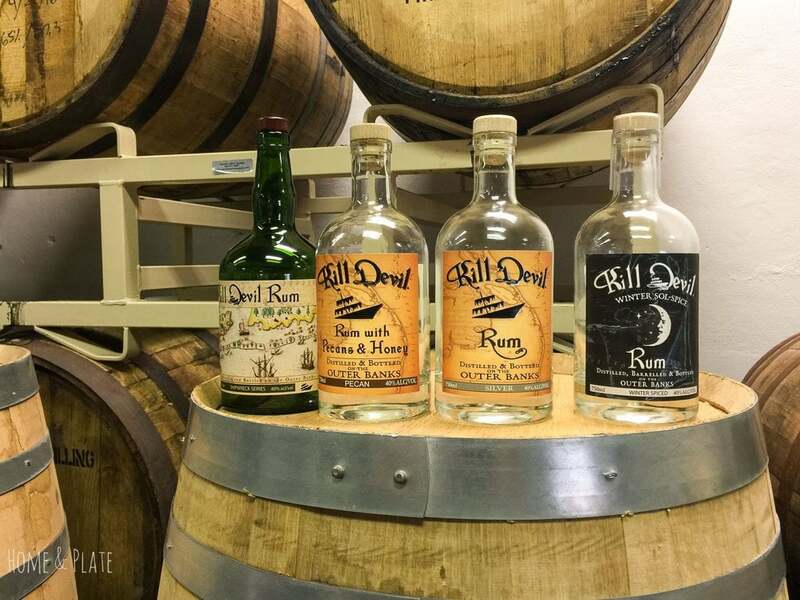 I picked up a bottle of their Kill Devil Pecan Rum after trying it in their tasting room. 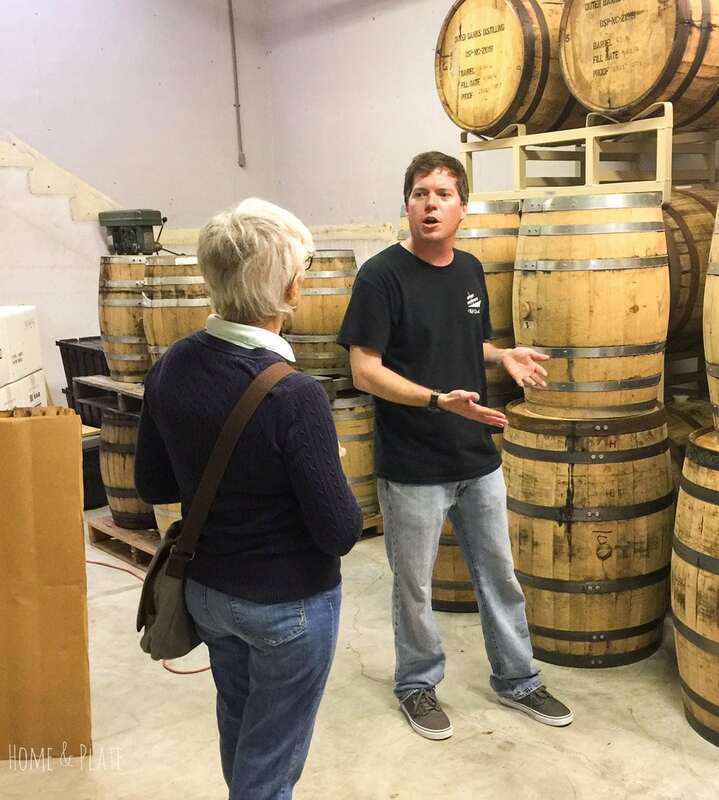 It’s full of big bold honey and butterscotch flavors and is the quintessential spirit for fall and winter cocktails. Fresh pressed apple cider makes for a delicious cocktail. My salted caramel apple martini was such a hit, I knew I could come up with a new creation using this rum. An idea was born! 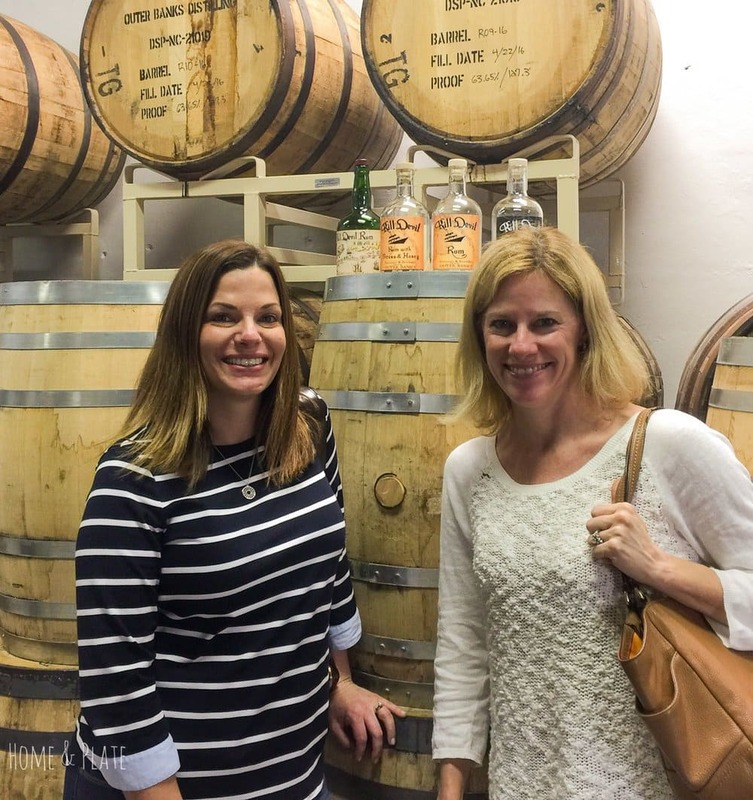 Do you know the difference between ginger beer and ginger ale? I had to research it. I love both sodas. But I prefer ginger beer. Similar to root beer, its brewed or fermented where as ginger ale is just carbonated water that’s been flavored with ginger. 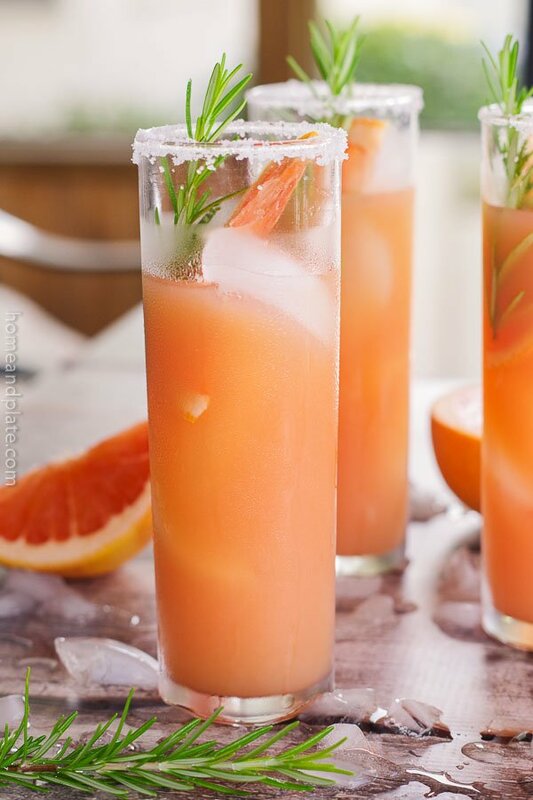 That subtle flavor difference makes a big splash in your cocktail. I coated two glasses in cinnamon sugar, added ice, apple cider, ginger beer and the rum, of course. Delish! DISCLAIMER: This is not a sponsored post or ad. There was no product nor compensation exchanged. This was my discovery of a great business and product. Thanks for supporting my blog and the products I love. 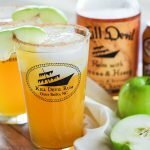 This drink has a boozy burst of pecan and honey rum blended with ginger beer and sweet apple cider makes a delicious cocktail for any time of the year. Mix together the sugar and cinnamon and spoon onto a small plate. Wet the rim of two glass with water and coat in the cinnamon sugar mix. Fill the glasses with ice. 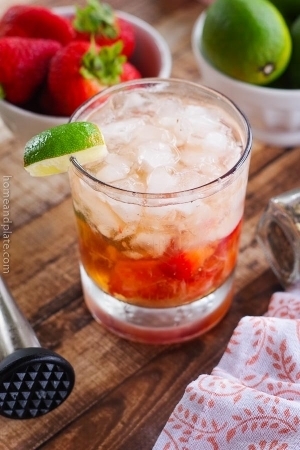 Mix together the apple cider, ginger beer and rum. 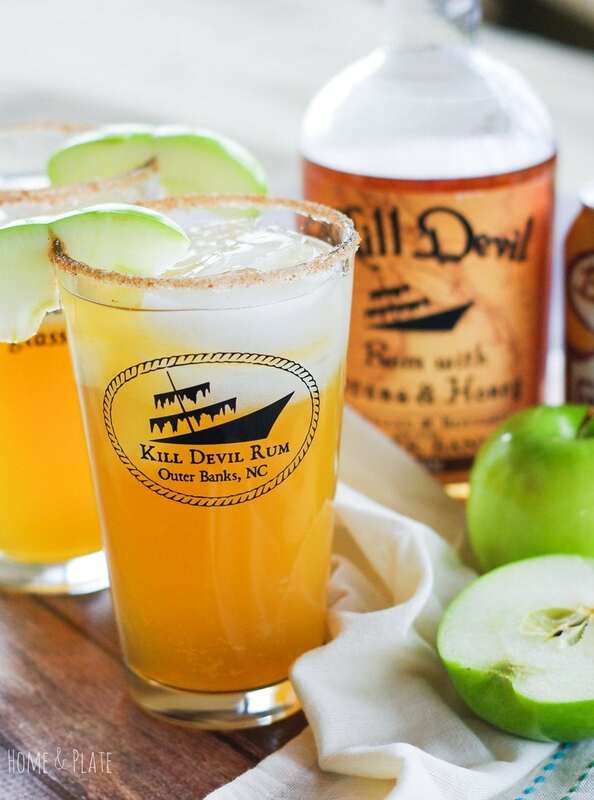 Pour into the glasses, garnish with a slice of apple and serve. We don’t drink a lot of rum around here but apple cider flavored drinks are my preferred drink of choice. 😉 That pecan rum sounds perfect. 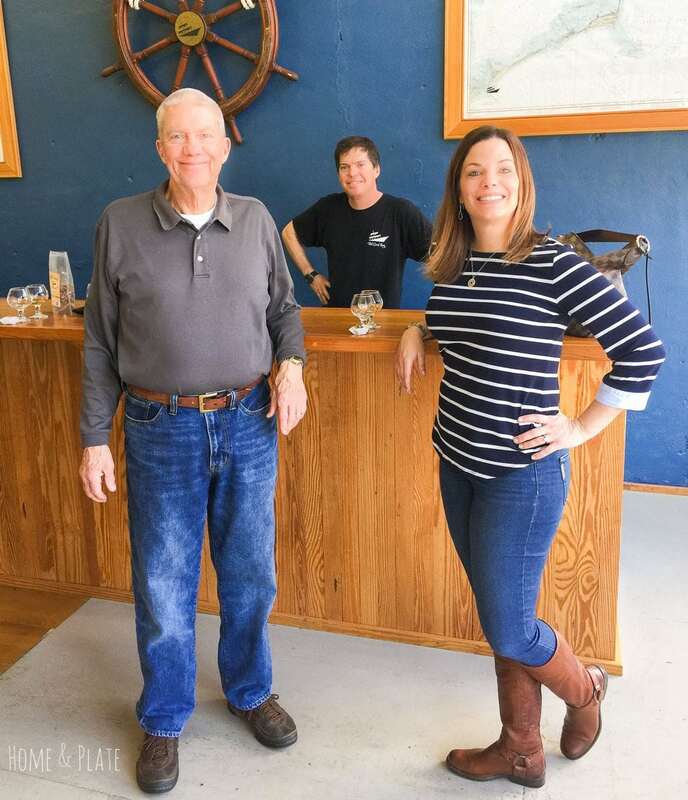 Thanks so much…it’s a perfect cocktail when you want a bit of flavor to your rum. These look dangerously delicious! I love all the flavors going on in there. Yum!